Choose from 193 boats in Dubrovnik. 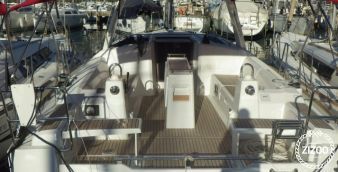 Chartering a yacht in Croatia is one of the best destinations in to sail in all of Europe. In Dubrovnik, famously referred to by Byron as the ‘Pearl of the Adriatic’, you’ll find medieval charm, the rich culture of the Old town, stunning seaside views, and the freshest local cuisine. When you charter a yacht in Dubrovnik, you can experience the very best of Croatia's beautiful coast and islands while ideal sailing conditions and long sunny days. Located in southern Croatia, the city of Dubrovnik is a UNESCO World Heritage SIte and has been beautifully restored to be one of the most desirable locations to visit in the Mediterranean. When you charter a yacht in Croatia, be sure to spend a day or more onshore enjoying the views of the boats at sea and discovering the culture of this beautiful country. 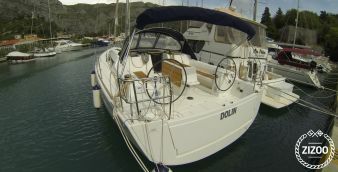 At Zizoo, we provide different options for boats to rent in Dubrovnik. 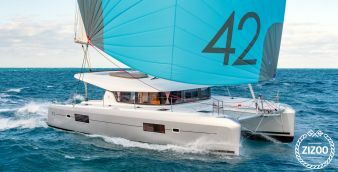 With over 175 yacht charters to choose from, a sailing holiday in Dubrovnik is perfect for adventure seekers, a romantic getaway, family vacations, and party with your friends. 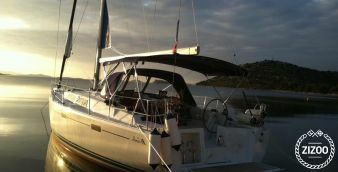 Charter a Catamaran in Dubrovnik for a luxury and comfort holiday. 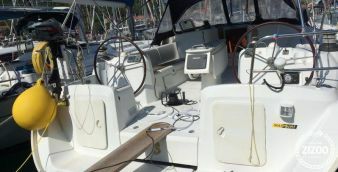 Rent a sailboat in Dubrovnik for the full nautical experience and let the wind guide you on your way. Rent a motorboat in Dubrovnik or hire a speedboat in Dubrovnik if you have the need for speed and want to travel the colorful coast in style. For the explorer in you, rent a gulet in Dubrovnik to feel like a true captain at sea while sailing on this traditional masted wooden ship. Dubrovnik’s City Walls - Start off your sailing holiday in Dubrovnik by exploring the 2 km City Walls that surround the city. Built in the 13-century as protection from outside invasion, you can view the city from a whole new perspective, spot St. Johns Fortress and stop at cafes along the way. The Old Town - Stroll through the Old Town in Dubrovnik along the winding cobblestone streets. While stopping at local shops and quaint cafes you can uncover architecture from the Gothic to the Renaissance eras. When exploring, be on the lookout for Sponza Palace, the Dominican Monastery, and St. Joseph’s Church. Srd Hill - If you’re looking for the best views from the city, Srd Hill is a must-visit. You can hike or take the Dubrovnik Cable Car to the top of the hill for panoramic views of the city and sea. Fun fact: the Dubrovnik Cable Car stays open until midnight in the summer months for a wonderful view of the stars. Lokrum Island - Located just 600 miles from the coast of Dubrovnik, Lokrum Island is the perfect place to visit for a swim while on your yacht charter in Dubrovnik. The island is a nature preserve and one of the best city escapes in town to enjoy the outdoors. Mljet National Park - Island hop from Dubrovnik to Mljet National Park while on your boat hire in Croatia. The park is the oldest protected marine area in the Mediterranean. You do not want to miss out on the untouched nature and pristine water. Dubrovnik is located in Dalmatia region of southern Croatia. The city, surrounding islands, and national parks in Dubrovnik enjoy long warm summers which provide perfect conditions for sailing holidays from April through October. Starting your sailing holiday in Dubrovnik is ideal for travelers from all across the globe. Dubrovnik Airport or Čilipi Airport is about 20 km from the city center. Dubrovnik's ACI Marina is located just a few minutes outside the Old Town. It is easily accessed via public bus or taxi. When you charter a yacht in Dubrovnik, be sure to have Kunas (the local currency) available even though some places will accept credit cards and/or euros. The best time to hire a boat in Dubrovnik is between late spring and late summer when the temperatures are mild, there are fewer crowds on land, and fewer yacht charters at sea. During the summer months, the water temperature is a warm 23 degrees and the tidal shift is minimal, at around 1-2 feet. The north-west wind is steady, ranging from 5 - 15 knots in the morning and 25 knots in the afternoon. Though the sailing conditions are considered to be excellent around Dubrovnik, the number of islands close to the mainland can affect the wind conditions rapidly. It is best to have some sailing experience under your belt. A Zizoo verified skipper can be easily arranged when booking a sailing holiday in Dubrovnik with our Boat Holiday Experts. The nation of 1,000 islands remains one of the top destinations for sailing in the world. Discover this magical city while wandering through the streets of the ancient city, touring the country’s diverse landscapes and savoring the local delicacies and wines in friendly local taverns and picturesque vineyards - uncover all this and more when you charter a yacht in Dubrovnik.